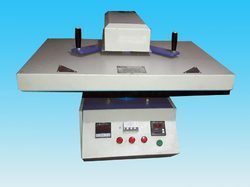 Prominent & Leading Manufacturer from Mumbai, we offer fusing presses. Motor driven fully-automatic flat type press. Uses a special heater and the aluminium heater plates give excellent thermal efficiency and uniform temperature distribution. Looking for Fusing Presses ?